Saturday Video: How Ancient Egyptians did math. Nassim Haramein, the energy and passion with which he speaks about physics brings remarkable quality to his talks. There are many scientists in the world, but Nassim is the kind you won't get to hear everyday. You'll be extra pleased with this video if you enjoy eastern philosophy, yoga and meditation, . Nassim Haramein provides solid scientific data reinforcing what yogis, mystics and sages have been telling us for thousands of years! Both Nassim Haramein and Lawrence Krauss are pioneers in their field, and they deserve much attention and recognition. You are about to discover the significance of their work. Enjoy! is the night of Shiva, the Adiyogi. A gift from nature, the unique planetary positions on this night initiate an upsurge of energy in the human system. By staying awake and keeping the spine erect one can reap immense benefits. The exuberant nightlong festival at the Isha Yoga Center sets the ideal ambience for this, with explosive meditations and spectacular musical performances by renowned artists, drawing over a million people. In the presence of Sadhguru, this unrivaled celestial extravaganza opens up the tremendous spiritual possibilities of the night. We invite you to join us, along with your family and friends, to experience the Grace and grandeur of Mahashivarathri with Sadhguru. Wonderful performance and music. There is something magical when it comes to this type of art, when body it self is the object of art. Enjoy this relaxing show! There are a lot of spiritual and yoga sites out there, and even more has been written about the chakras. I am not going to name, but sometimes my eyes suddenly open up wide and chin drops from what I read. Just about anybody in the new age and yoga community claims that he's a chakra healer, writes articles and books about it and so forth. I decided to bring more light to these areas by using words of a self realized master and yogi, Sadhguru. This ancient wisdom has been carefully handed over from generation to generation, taking enormous care nothing get's distorted. It is also our generation's responsibility to make sure this knowledge remains in it's original format. Chakras are energy centers. Although most people have heard of seven chakras, there are actually 114 in the body. The human body is a complex energy form; in addition to the 114 chakras, it also has 72,000 "nadis," or energy channels, along which vital energy, or "prana," moves. When the nadis meet at different points in the body, they form a triangle. We call this triangle a chakra, which means "wheel." We call it a wheel because it symbolizes growth, dynamism and movement, so even though it is actually a triangle, we call it a chakra. Some of these centers are very powerful, while others are not as powerful. At different levels, these energy centers produce different qualities in a human being. Fundamentally, any spiritual path can be described as a journey from the base chakra, called the "Mooladhara," which is located at the base of the spine, to the "Sahasrar," which located at the top of the head. This journey of movement from the Mooladhara to Sahasrar is from one dimension to another. It may happen in many different ways, and various yogic practices can effect this movement. Mooladhara is really made up of two terms: "Moola" means the root or source, and "adhar" means the foundation. It is the very basic foundation of life. In the physical body, your energies need to be in the Mooladhara chakra to some extent. Otherwise, you cannot exist. If the Mooladhara chakra alone is dominant, food and sleep will be the predominant factors in your life. We can speak in terms of lower and higher chakras, but such language is often and too easily misunderstood. It is like comparing the foundation of a building to the roof; the roof is not superior to the foundation. The foundation of the building is more basic to the building than the roof, and the quality, life span, stability and security of the building depends, to a large extent, on the foundation rather than the roof. But in terms of language, the roof is higher, and the foundation is lower. The second chakra is "Swadhisthana." If your energies move into Swadhisthana, you are a pleasure seeker. The Swadhisthana chakra is located just above the genital organs. When this chakra is active, you enjoy the physical world in so many ways. If you look at a pleasure seeker, you will see that his life and his experience of life are just a little more intense compared with a person who is only about food and sleep. 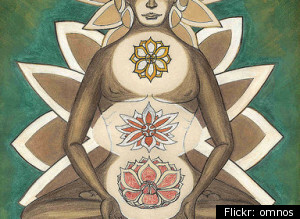 If your energy moves into the "Manipuraka" chakra, located just below the navel, you are a doer in the world. You are all about action. You can do many, many things. If your energies move into the "Anahata" chakra, you are a creative person. A person who is creative in nature, like an artist or an actor, is someone who lives very intensely -- more intensely, perhaps, than a businessman, who is all action. The Anahata literally means the "un-struck." If you want to make any sound, you have to strike two objects together. The un-struck sound is called "Anahata." Anahata is located in the heart area and is like a transition between your lower chakras and your higher chakras, between survival instincts and the instinct to liberate yourself. The lower three chakras are mainly concerned with your physical existence. Anahata is a combination; it is a meeting place for both the survival and the enlightenment chakras. The next chakra is the "Vishuddhi," which literally means "filter." Vishuddhi is located in the area of your throat. If your energies move into Vishuddhi, you become a very powerful human being, but this power is not just political or administrative. A person can be powerful in many ways. A person can become so powerful that if he just sits in one place, things will happen for him. He can manifest life beyond the limitations of time and space. If your energies move into the "Agna" chakra, located between your eyebrows, you are intellectually enlightened. You have attained to a new balance and peace within you. The outside no longer disturbs you, but you are still experientially not liberated. If your energies move into "Sahasrar," at the crown of your head, you become ecstatic beyond all reason. You will simply burst with ecstasy for no reason whatsoever. Chakras have more than one dimension to them. 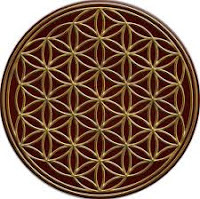 One dimension is their physical existence, but they also have a spiritual dimension. This means that they can be completely transformed into a new dimension. If you bring the right kind of awareness, the same Mooladhara that craves food and sleep can become absolutely free from the process of food and sleep. If one wants to go beyond food and sleep, one needs to transform the Mooladhara to an evolved state. To move from Mooladhara to Agna, from the lowest of these seven chakras to the second highest, there are many procedures, methods and processes through which one can raise his energies. 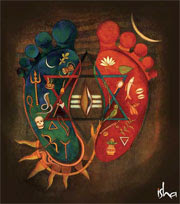 But from Agna to Sahasrar, the sixth chakra to the highest chakra, there is no path. You can only jump there. In a way, you have to fall upward. So, the question of going step by step to that dimension does not really arise. There is no way. It is for this reason that spiritual traditions have emphasized the significance of a guru's role in one's realization; guru literally means "dispeller of darkness." You can only jump into an abyss -- the depth of which you do not know -- if you have an absolutely insane heart, or if your trust in someone is so deep that you are willing to do anything in their presence. Most people, due to a lack of either of these two aspects, just get stuck in the Agna chakra. When this happens, peacefulness is the highest state they will know. It is only from this limitation that there has been so much talk about peace being the highest possibility. But for someone seeking their ultimate nature, peace is only the beginning; it is not the ultimate goal. When I first start watching this video, it immediately reminded me of something. Even the title "The Fly". Those of you who attended Anaadhi sure know what I am talking about! So many things we did to keep them away, do you remember? Or did someone share this with you? You're about to watch a video that tells the fly story during that incredible summer of 2010. Find out more about "Anaadhi-The beginning less"
This is some truly pleasant news. India's pop star singer Smita composed her new album as a offering to Sadhguru. I am not sure whether or not she have done any of the programs Isha Foundation offers, but it would make sense that she did. This is clear proof that spirituality is available to everyone at anytime, all it takes is a open hearth. The popular singer has been working on a modish and contemplative album. But, why the titled Ishana? The name is derived from Sadguru Jaggi Vasudev's Isha Foundation, to whom the album is an offering. She has tweeted saying, "Countdown begins for the launch of my spiritual fusion album ISHANA, a pathway to the divine... More details will follow." "My spiritual approach all of a sudden from pop albums has taken many by surprise. I feel that spirituality is not for senior citizens alone, it is equally important for youngsters to achieve success in life", she was quoted as saying by a national newspaper. Sadhguru will be releasing the album in Coimbatore on Mahasivaratri (Feb. 20). A commercial release is planned to be organised in Hyderabad on a later day. Hi and welcome back! In this Saturday's Video, I am sharing a document movie called "The Human Family Tree". Using today's human DNA, team of scientist tracked down our origins, and the results are astonishing! Some time a go, somebody actually told me about this, that a modern human - homo sapiens, the whole race, may be coming from one single mother. It was shocking, It was difficult to grasp it. Yet I was so excited that it wouldn't let me sleep for a few days! Just another proof that we are all "one" - that we are all in yoga which means "union". You will see some cool graphic animations as well as a few hundred volunteers involved in this. It turns out converted rainforest land is neither particularly productive as farmland nor climate smart, since creating it releases huge amounts of carbon sequestered in trees. Now that we’re surrounded by 7 billion of our closest friends, it’s probably a good time to talk about how we’re going to feed them. The government, along with corporations like Monsanto, Syngenta, Dupont, and others who are part of our current industrial agriculture system, will tell you that feeding the world is all about more. More yield from crops, more chemicals, more fertilizer, more genetically engineered seeds. More, more, more! Of course, it’s easy to say that when you’re willing, as they are, to ignore the health effects, climate and environmental impacts, resource constraints, and every other real world consequence of large-scale industrial agriculture. Our ability to feed this expanding population (let alone reduce world hunger) is generally discussed in terms of bushels of grain or total calories produced. It’s as if other aspects of the food production system — from agriculture’s carbon footprint, to the amount of crops now used for biofuels and animal feed, to the availability and price of oil and other depleted resources like phosphorus, a key fertilizer — are somehow irrelevant. So it’s nice to see an article in the preeminent science journal Nature that tries to look at the big picture of world agriculture, warts and all. The report was written by a team of international scientists led by Dr. Jonathan Foley of the University of Minnesota’s Institute of the Environment, and the goal was to address how our current food system is failing to feed the world. And yes, that was “is failing” –not “might fail in the future.” After all, any system that leaves nearly 15 percent of the world’s population — and 50 million residents of the world’s richest country — hungry while wasting an astounding amount of food can’t possibly be considered a success. Eat less meat and put less food (i.e. ethanol) into our gas tanks. 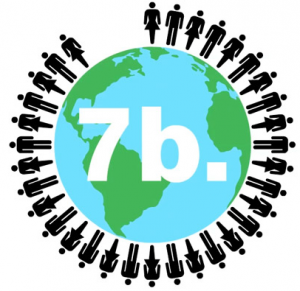 Read more on population. Check out our series 7 billion: What to expect when you’re expanding. Though few, the changes called for won’t be easy to enact. According to the researchers’ analysis, however, these are the only real options if we are to produce food for all 7 billion of us without destroying the planet in the process. The report also points out that conventional attempts to expand food production, such as the recent increase in farmland, do more harm than good. Much of that new farmland is, for the most part, former tropical rainforest — and it turns out converted rainforest land is neither particularly productive as farmland nor climate smart, since creating it releases huge amounts of carbon sequestered in trees. The study provides evidence that we’re better off letting the rainforest sequester carbon than burning and bulldozing it to grow grains or sugarcane (which mostly end up as biofuel rather than human food). … conventional approaches to intensive agriculture, especially the unbridled use of irrigation and fertilizers, have been major causes of environmental degradation. Closing yield gaps without environmental degradation will require new approaches, including reforming conventional agriculture and adopting lessons from organic systems and precision agriculture. agroecological innovations in crop and soil management [which] … show great promise for improving the resource efficiency of agriculture, maintaining the benefits of intensive agriculture while greatly reducing harm to the environment. Agroecology is a broad term, but generally involves a balanced approach to agriculture that takes account of natural systems when choosing what to grow and how to grow it. While it’s the form of food production rarely discussed at USDA and in the U.S. generally, agroecological principles have been endorsed by the United Nations Food and Agriculture Organization as well as by the U.N.’s Right to Food program as the best way forward. They’ve also been explored in depth in a report produced by hundreds of scientists for the World Bank. The Nature study also noted that worldwide, only 62 percent of our crops go towards food we actually eat. A third goes to livestock and around 3 percent goes to biofuel, fiber, or seed production. But those numbers vary greatly by region. The scientists produced a “heat map” that looks at what percentage of a region’s crop production is fed to humans vs. animals and fuel tanks. Red indicates cropland totally dedicated to food while blue indicates cropland used to grow fuel, fiber, or other industrial products. Notice that cold blue swath that covers the American Midwest? The same area touted as the key to America’s “feeding the world”? Well, the map shows that the vast majority of food grown there is not destined for people’s stomachs. That’s something that will need to change if we are to have any hope of making food available to those who need it. With the tools currently at our disposal, we can reduce carbon emissions to address climate change; we can create jobs to address economic inequality; and, yes, we can “feed the world,” though the better term is “feed ourselves.” What Foley and his team are really telling us is that, as with the other challenges we face, the main obstacles are political. The fact is that the people and corporations who run things at the moment don’t want to change. And certainly not in the direction this report recommends. That’s a shame, because it’s a lot easier to change by choice than in a time of crisis. But unless we find ways to adopt the principles that scientists like Foley and his team are describing soon, we’re likely to have change forced upon us. And I’m guessing we’ll like the results a whole lot less. A 17-year veteran of both traditional and online media, Tom is a Contributing Writer at Gristcovering food and agricultural policy. Tom’s long and winding road to food politics writing passed through New York, Boston, the San Francisco Bay Area, Florence, Italy and Philadelphia (which has a vibrant progressive food politics and sustainable agriculture scene, thank you very much). In addition to Grist, his writing has appeared online in theAmerican Prospect, Slate, the New York Times and The New Republic. He is on record as believing that wrecking the planet is a bad idea. Follow him on Twitter.